Is it getting a bit harder to hear, especially while talking on the phone or in a noisy environment? Perhaps you find yourself often turning up the volume of the TV or the radio. Or you think that some people mumble and you have to ask them to repeat themselves. These are signs of the beginning of hearing loss. The number of people living with some form of hearing loss has gradually been going up, and mild hearing loss is becoming increasingly common. But does that mean you should start wearing a hearing aid? Hearing loss is usually a gradual process. Continuous exposure to high decibel noises can damage the tiny hair cells in your ears. These hair cells are responsible for conducting sound signals to your brain, so when they are irreparably damaged, your hearing deteriorates. It can begin with a mild hearing loss, where you have difficulty in hearing certain levels of sounds. You may think that you are not missing much, but even mild hearing loss can affect your quality of life – from taking a toll on interpersonal relationships to making it difficult for you to get out and about independently. This means that feelings of frustration, isolation and even depression can develop, impacting your mental health as well. What’s more, recent scientific studies have found that those suffering from hearing loss are also more likely to develop dementia over time, due to an accelerated rate of brain tissue loss. Therefore, it is important to treat mild hearing loss before it becomes more severe, not just because of the inconvenience of struggling to hear clearly, but for your physical and mental wellbeing as well. Although it can be the most difficult step, acknowledging mild hearing loss and acting upon it is key in significantly slowing any further deterioration of your hearing. Early use of hearing aids means you can continue to make the most of life without allowing your hearing loss to become irreparably severe. 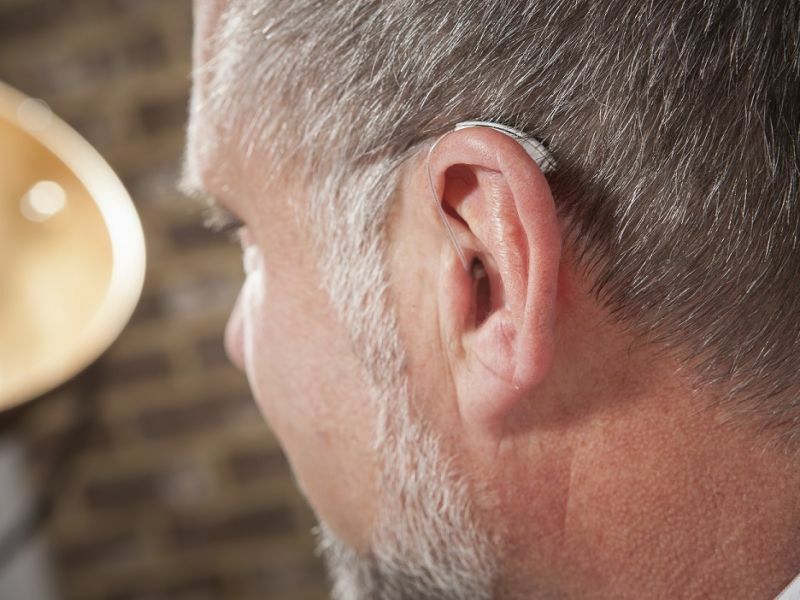 Furthermore, people who start wearing hearing aids when they have only mild hearing loss are far less likely to suffer from connected mental health problems such as dementia. They also generally find it easier to adapt to wearing them than those with more severe losses. If you’re put off by the thought of wearing a bulky old-fashioned hearing aid, then there is no need to be. Today’s digital hearing aids are small, sleek and some of them are nearly invisible. With mild to moderate hearing loss, you have a huge range of hearing aid options open to you, such as completely-in-the-canal aids. These sit deep inside your ear canal and are not obvious to the casual observer, but make a huge difference to your hearing. Unfortunately, some of the smallest and most discreet hearing aids simply cannot offer the power required to help individuals with more severe losses. If you think that your hearing might be deteriorating, don’t hesitate in visiting your nearest Leightons Opticians & Hearing Care for a free hearing assessment. Our audiologists will put you at ease and be able to offer friendly guidance and advice on what the best next steps are for you. As part of the free hearing test, you can also experience a free hearing aid demonstration to help you understand how your hearing can improve by using hearing aids. You can book your free hearing test online, call us on 0800 40 20 20 or visit your local branch. Lin FR et al (2011). Hearing Loss and Incident Dementia. Arch Neurol. 68(2):214-220.